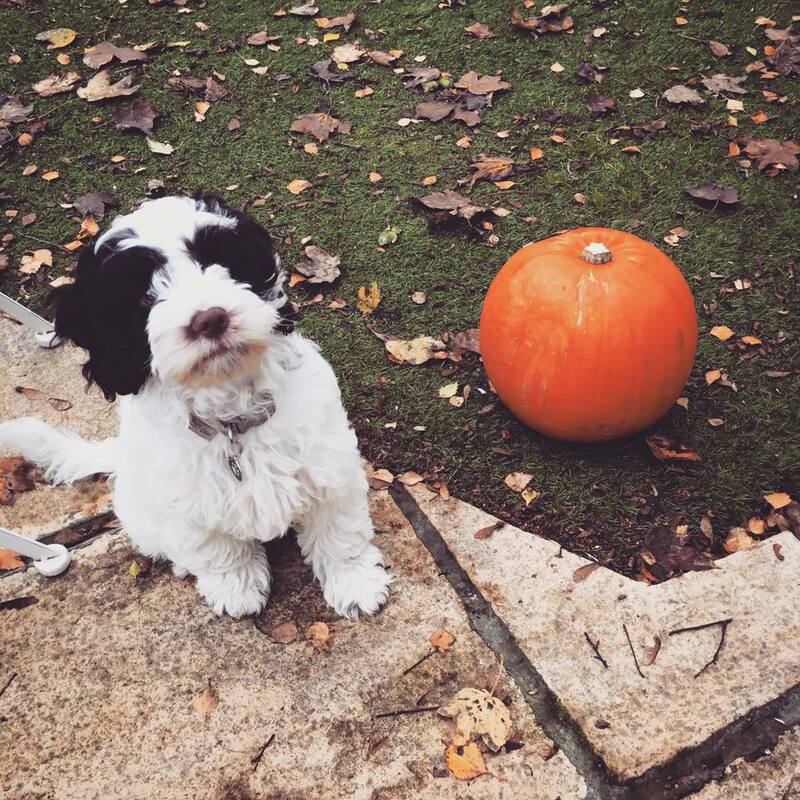 Pet of the Month: Louis the Cockapoo Puppy! Interview with Augusta Henning, Louis’ proud new owner! When and where did you get Louis from? We got Louis from a local breeder, about twenty minutes from Wokingham, at the end of September. Louis is very affectionate – he loves people and is always trying to jump up at passers-by when we go for a walk. He also likes to lick our faces to show his affection! He likes to play a lot, but also understands when it’s time out. How have you found training Louis? Louis is a great learner so we’ve had good fun teaching him obedience at our weekly puppy class and after! We have crate trained him right from the beginning which means we can leave the house in comfort that he won’t tear our flat to shreds. He loves his crate and now sees it as a safe haven – he even knows when it’s bed time and hops right in. Because Louis is still teething, he likes toys that he can sink his teeth in to – he’s got a soft cuddly elephant and hedgehog, and some harder pulley toys which allow us to play with him. He also loves his squeaky Brussel sprout toy – which makes a funny noise. When he gets over-tired, he runs around the garden like a mad-man – we didn’t know what was wrong with him at first! He also likes to watch TV, especially if there’s an animal on the screen. Finally, he can see his reflection in our fridge, so will sometimes claw at it because he thinks it’s another dog!